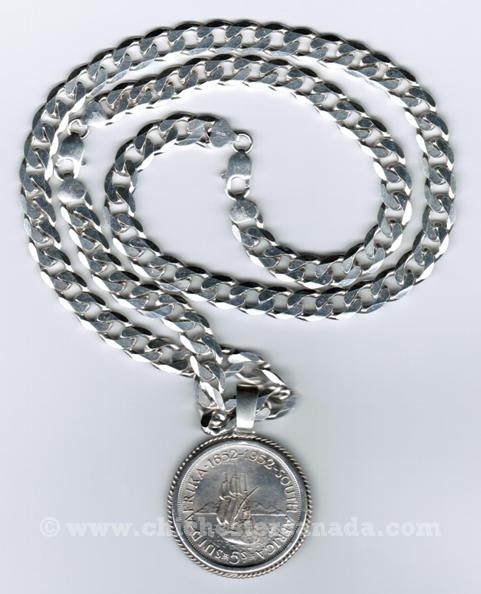 See our gallery of bling for sale below. 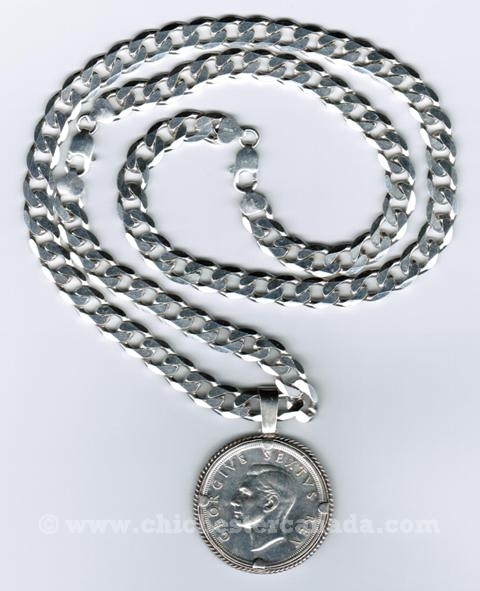 CR-1103-Gxx Bling:Gallery Item See Prices below. You get the exact item shown when ordering by Order Code. This five shilling coin was issued by South Africa in 1952 to commemorate the 300th anniversary of the founding of Capetown. It has a portrait of King George the Sixth on the front and an image of a schooner in Capetown harbor on the back. 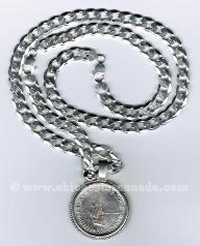 The coin is on a sterling silver chain and bail. 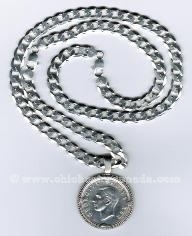 Diameter of Coin: 4 cm or 1.5"
Length of Chain: 82 cm or 32.25"
Both sides of the coin are shown.